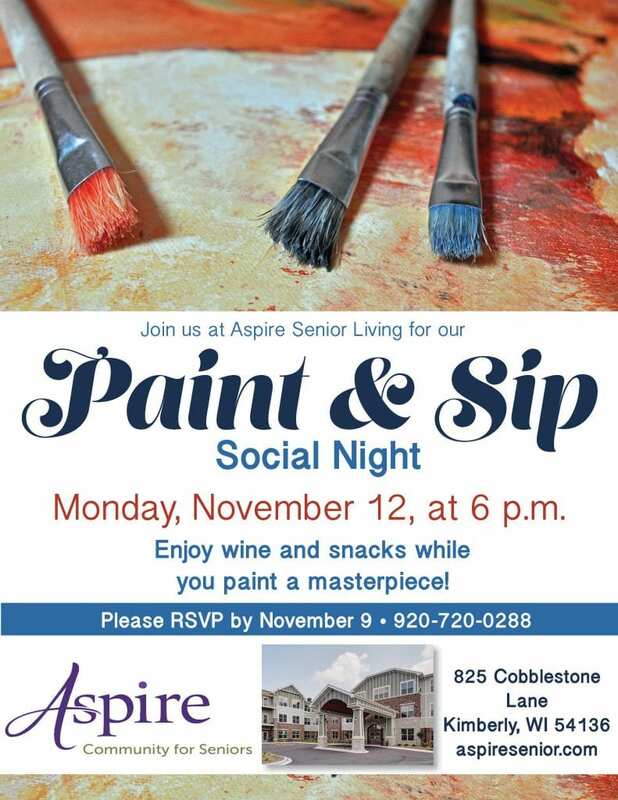 Join us at Aspire Senior Living for a paint and sip social night. Enjoy wine and snacks while you paint a masterpiece. Please RSVP by November 9.